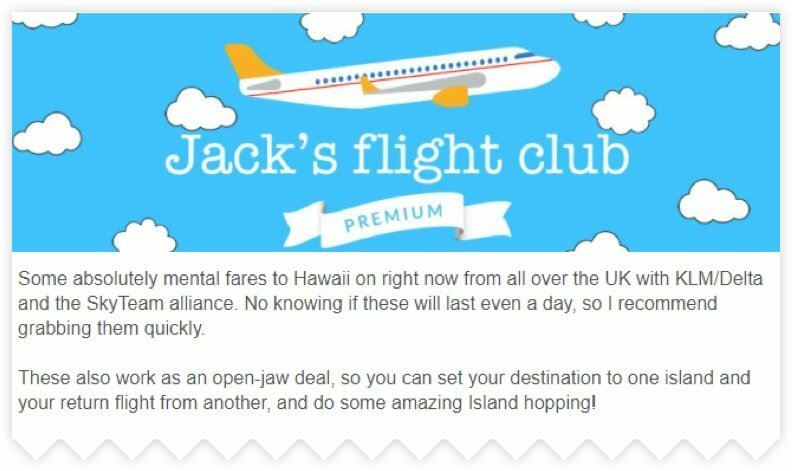 Welcome to Jack’s Flight Club! We’ve got a welcome email on the way to your inbox with some important details, so keep an eye out for it in the next few minutes. Deal Intro — I’ll give you some quick details here about each deal and anything else pertinent to make sure you’re fully informed about all options. 1) A list of all departure and destination airports included in the deal and the best priced option we’ve found from each of them. 2) Availability dates for the deal. 3) Other details such as airline, luggage allowance, and how much the standard fare for this route normally costs. 4) How long we think this deal will last before fares jump back up, based on our experience. 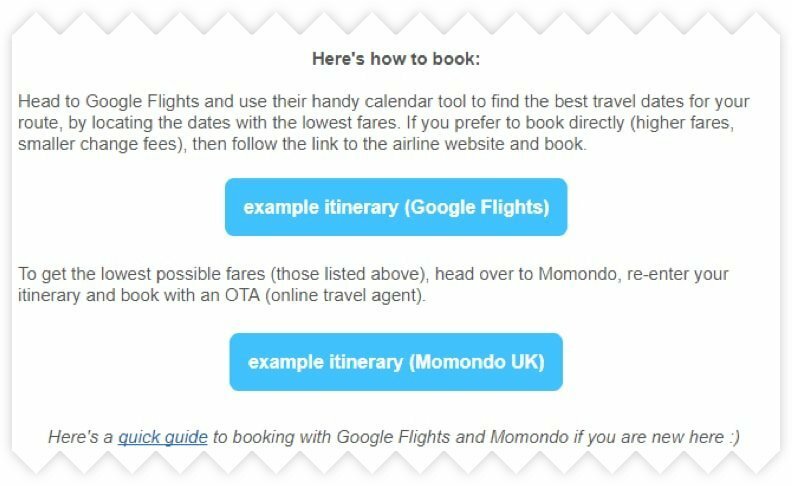 Booking instructions — this is where we tell you exactly which websites are offering the deal and instructions on how to book it. 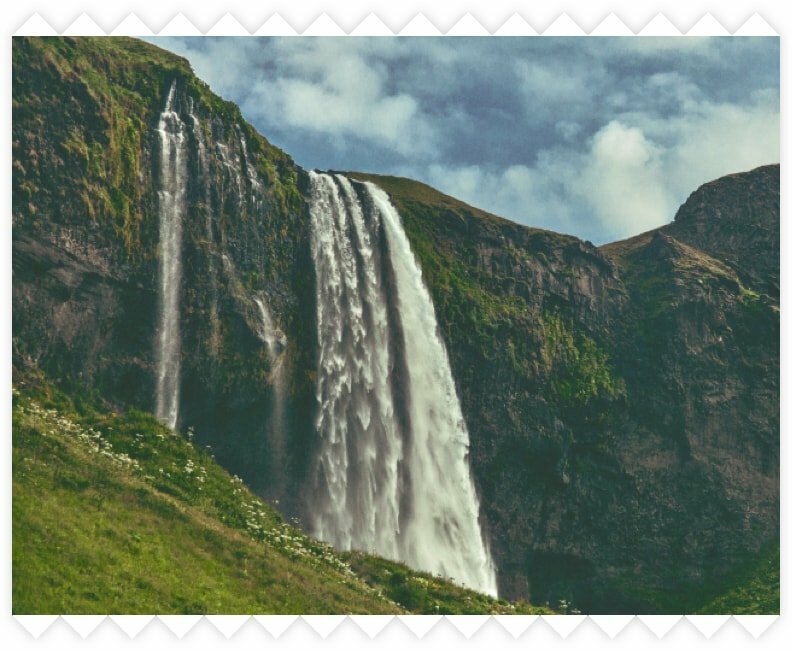 Use the blue example itinerary buttons as a starting point. Reminder: We are not affiliated and do not receive referral fees from any booking websites or airlines. Our only incentive is to help you snag an amazing fare for your holiday! Deal proof! 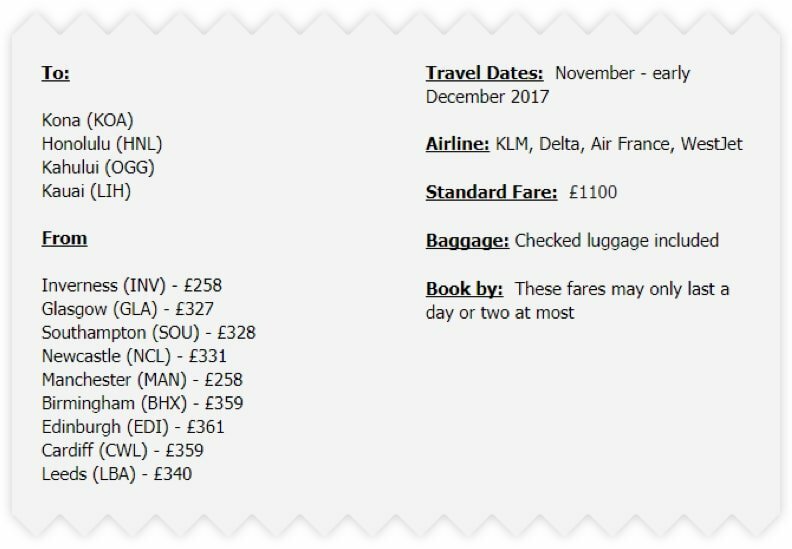 A snapshot showing an example itinerary with the cheap fare my team and I found. This is typically what you should see when pressing the blue example itinerary link when the deal is still available. Don’t forget to let me know when you’ve booked - we like to keep a tally of our members' overall savings. So far we've hit an estimated £10 million in member airfare savings in the last 12 months alone! Click here to go back and select a different plan.